The sun has set and across the shimmery water two majestic figures serenely move. 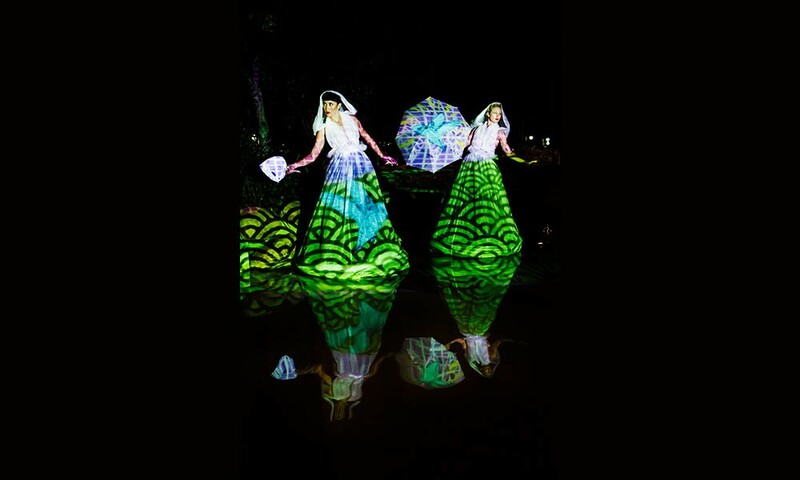 This is Trade Winds, an evocative performance installation depicting the journey of two women from different cultures. 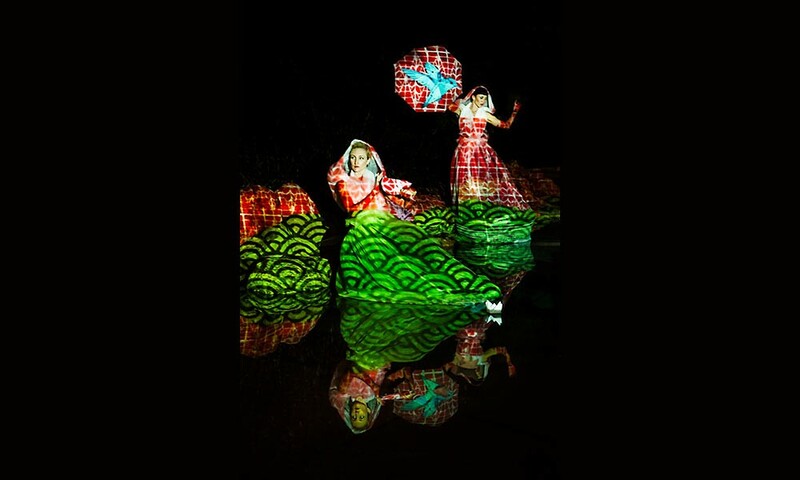 This stunning new collaboration between the innovative and imaginative team from dance-theatre company Polytoxic, and one of Australia’s most exciting contemporary Pacific visual artists, Samuel Tupou, is a magical event for the whole family. 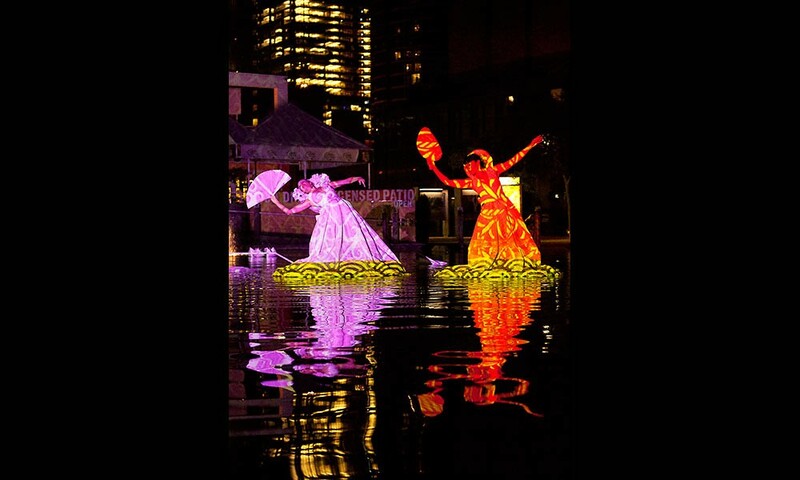 Two performers literally dance on the water and as they move they become giant screens illuminated by a world of exquisite animated projections. 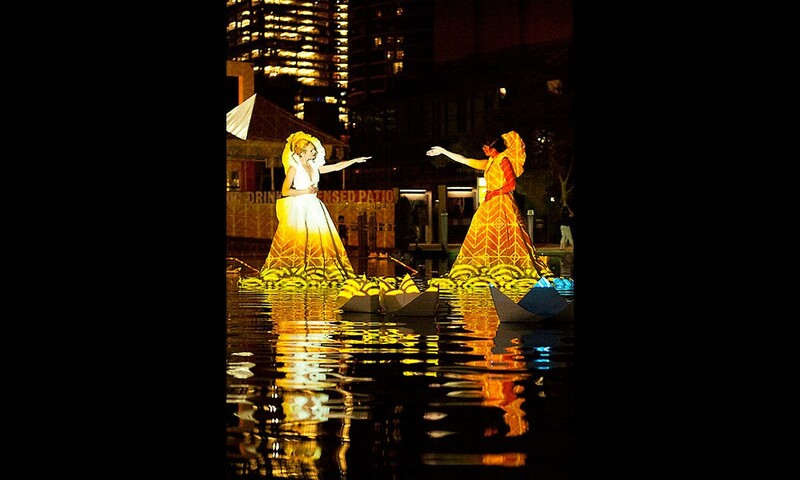 Surrounding the figures float origami boats carrying messages and stories of the hopes and dreams of the audience, created in a series of pre-show workshops. Trade Winds has been presented at Planet IndigenUs Festival (Harbourfront Centre, Toronto); OnEdge Festival (Cairns); Darwin Festival, Bleach Festival (Gold Coast); Desert Fringe (Port Augusta); Joondalup Festival (Perth), and APAM Brisbane. Trade Winds is co-produced by Metro Arts and Polytoxic. 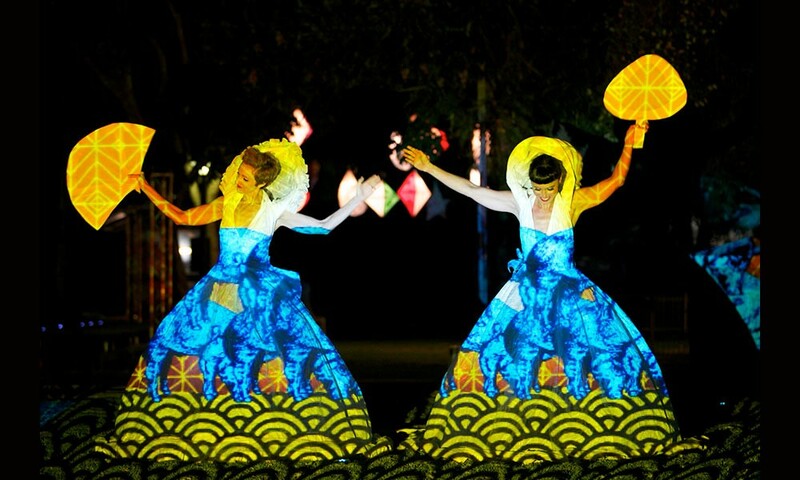 Trade Winds has been assisted by the Australian Government through the Australia Council for the Arts, its arts funding and advisory body. Photos by Vibrance Magazine / Sean Young / Jarrad Seng. Visuals by Samuel Tupou.